David and his mate Ron Rose discover a bookshop that actually sells children’s poetry books!!!!!! I seem to have my eyes closed here, most odd. 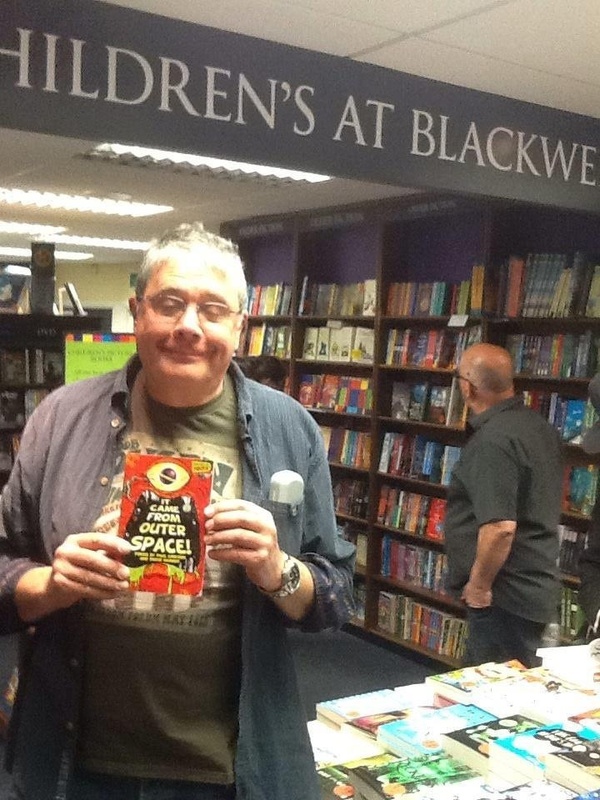 That’s Ron just behind me looking at books on the shelf of the bookshop. As you do.